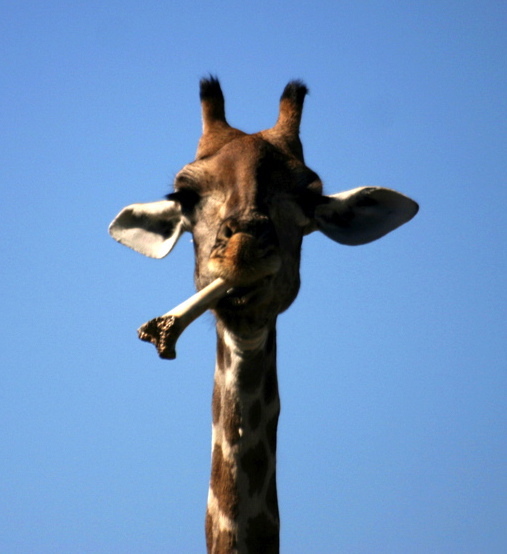 This is a giraffe. Eating a bone. Well you try illustrating byword. Do you have any bywordial examples? Do please leave your comments by and by in the box below. Oktoberfest is a byword for beer. Now there's an example of a positive byword - the Oktoberfest has long been on my list of future places to go. Cheers!